Coral Springs firefighters asked for donations to help pay for a South Florida woman's expenses after she was injured in car crash while on vacation in Romania. On Aug. 8, Coral Springs fire captain June Ohlrich was traveling with her friend Ileana Cahn, who lives in Deerfield Beach. Cahn's father was at the wheel, Ohlrich said, and lost control. The crash left his daughter paralyzed, and she wasn't breathing. "I was able to get her out of the car, and start breathing for her," said Ohlrich, who said she performed mouth-to-mouth resuscitation for 35 minutes before help arrived. Ohlrich said she had suffered three broken ribs herself but had no idea. Romanian doctors were not equipped to treat Cahn's injuries, so Ohlrich got in touch with coworkers in Broward to help fly her friend to Athens, Greece. Cahn, whose family is originally from Romania, flew to a spinal center there two days later. 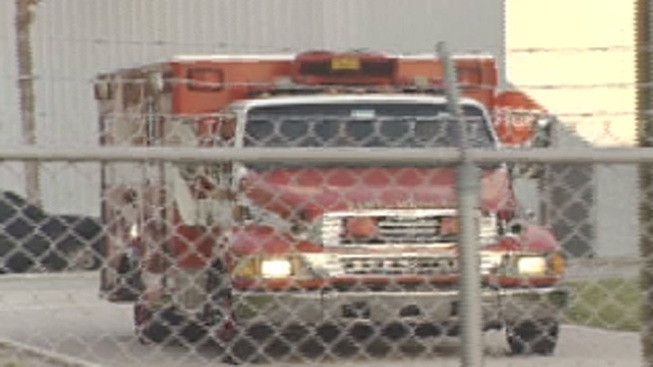 Ohlrich then made arrangements with Trinity Air Ambulance crews for a 17-hour trip home to South Florida. Air medic Jerome Kuketz says keeping Cahn breathing during a trip with stops in Ireland, then Canada, was no easy task. "Oxygen consumption was the biggest factor," he said. After landing in Fort Lauderdale Wednesday night, Cahn flew to Jackson Memorial Hospital in a Broward County Sheriff's helicopter. On the ground, Ohlrich could hardly express her thanks to fellow rescuers. "You know it's just great to be part of a family, a second family," she said. "I love them." On Wednesday, doctors put Cahn on a ventilator. Ohlrich said she is paralyzed from the neck down. The association asked for donations to help pay for Cahn's transatlantic rescue flights, which they say cost more than $100,000. If you would like to make a donation, you can contact Mike Farmer, president of the Coral Springs Professional Firefighters Benevolent Association at 561-704-2136.